through the jungle of memories. First they’ll strip you and leave you naked. They’ll bath you and give you pyjamas and a blue gown. they’ll take you into your room. Number 611. Here there’s a priest and a retired captain. They moan a lot, especially around midnight. Then they’ll give you an injection to tranquillize you. said already that all poets are the same - nuts. They’ll give you a cocktail of a mish-mash of tablets. curling up and she smiles at you helplessly. almost someone shitting himself, you can’t make her. Pity. Finally they take you to the doctor. For the confession. completing the history of your illness. and SPITTING ON THE FLOOR IIS FORBIDEN. artists, priests and research workers. and a little child on her lap. They look at the stars. I went out to play. and fathers covered in blood. and so on, alternating endlessly. in the latest radio news! that's broken away - without underpants. and don't lean out of the window. far from the place of assembly. like roe without a fish. from the new love story? How much does a child at school cost us? (and from the cartoons on TV). and of our neurotic galaxy. the mirror of everyday life. while you're looking for a public restroom. has become - public trouble? the ice cream vendor caught the shadow. turned over on its back? the beauty of a sight is in its sorrow. long before he pays the bill. and wave endlessly these waters. have learned to turn bread crumbs into silver nuggets. and wash their mouths with morning due mate. and no one knows if they wonder who of them is a bigger saint. aren’t we all an already read book? against the blackest of nights without dawning. do you really like that guy chopin? Siljan the Stork Flies Over Macedonia Oce Again (in English), 1996; (in Bulgarian) 2006. Trojca za preferans (Three for Swedish Whist) , 2001. Nenadejna, 2005; (in Albanian), 2006. Cehopek, 2006, 2007, (in Czech) 2007. Srede(In the Middle) , 2008. Sonot na koalata (The Koala’s Dream), 2009. Izbrani dela vo cetiri toma (Selected Works in Four Volumes), 2009. Od Bitola pojdov (Departure From Bitola), 1990. His collection of poems Night Owl in the Park won the Mlad Borec award and 8 Noemvri award of the town of Stip (both in 1972). His collection of poems Jana won the 13 Noemvri award of the city of Skopje (1980), and his book of poetry for children Gorjan in Dorjan won the Struga Poetry Evenings award for the best book for children in the period between two festivals (1988). He also won the “Aco Shopov” award of the Writers’ Association of Macedonia for best poetry book in 2006 as well as of the “Miladinov Brothers” award at the Struga Poetry Evenings for the ebst poetry bookba a Macedonian author in 2008. In 2010 he won the “Poetsko zhezlo” award at the poetry manifestation Praznik na lipite in Skopje and the Velja kutija award at the Makedonski duhovni konaci poetry gathe¬ring. His poems have been translated into several languages, and presented in several anthologies of modern Macedonian poetry. His poetry books were published in English, Russian, Czech, Serbian, Slovenian, Albanian, and Bulgarian language. 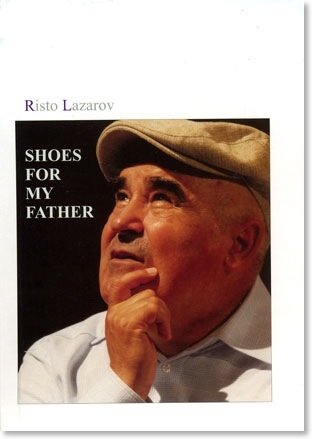 He translated into Macedonian books and poems by many authors from English, Czech, Serbian, Bulgarian and other languages. He is also the author of several books in the field of journalism. Member of the Writers’ Association of Macedonia since 1972 and since 2005 he has been presiding the Macedonian PEN Center. He lives in Skopje and works there as a journalist. At present, he is Director and Editor-in-Chief of the Telma, an independent Television in Skopje.